This is a really smart combination of two classic tricks. Imagine doing Six Card Repeat, each time counting a packet of six cards, and then throwing three onto a tray, then showing you still have six in your hands. It gets more amazing the more times you throw away three and STILL count six. Absolute classic. But now, in this version, you cover the tray with a silk and when you whisk it away, there's a Card Castle! Very smart, amazing way to conclude a classic of magic. 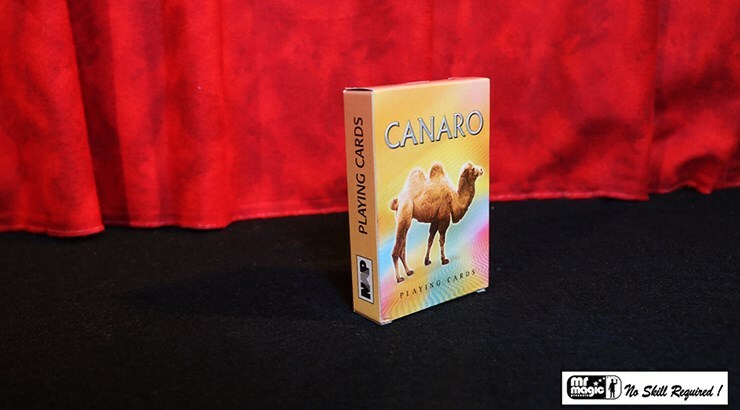 The magician drops cards on a table or tray - it is subsequently covered by a cloth. 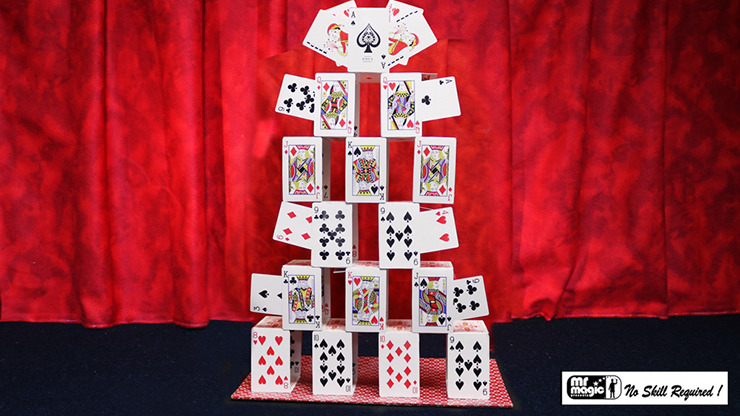 Within seconds, as the cloth is pulled up and removed -- a card castle approximately 17 inches high appears to be "built." Perfect as a standalone effect or as a finale for effects like "Six Card Repeat" or "Dimension Cards."